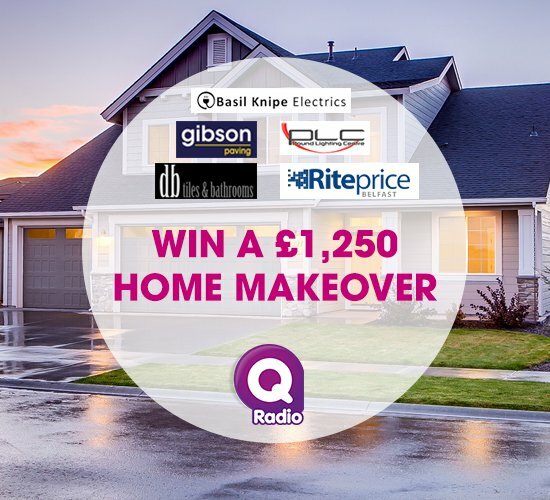 This week on Q Radio we have teamed up with Gibson Paving, Pound Lighting Centre, DB Tiles and Bathrooms, Right Price and Basil Knipe Electrics to give you the chance to win a £250 voucher for each store to give your home the ultimate makeover! Find out more about each store below. Gibson Paving is a family business with over 30 years experience in the business. They aim to provide the long-term, easy maintained landscaping solutions and have a range of external porcelain and natural stone! Pound Lighting is a family owned & run professional lighting specialists for 40 years. They have a huge range of lighting at competitive prices! Visit their website to see more here. DB Tiles and bathrooms have 2 showrooms one in Moira and the other in Hamiltonsbawn with unrivalled quality, value and design in all departments. 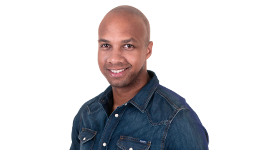 They offer a 4D design service - taking customer service to another level. Right Price, Coleraine, supply a range of carpets, flooring, beds, sofas, dining sets and more. They offer a wide variety of giftware including beautiful bed linen, cushions, glassware, towels and artwork! Don’t miss out on great offers with up to 60% discounts on some of your favourite things in store this August. Basil Knipe Electrics in association with LG Electronics Offer a range of TV brands for you to choose from including LG, Panasonic, Samsung, Sony and Loewe, and if you want to see something class they even have the Wallpaper OLED television on show. Basil Knipe Electrics in association with LG Electronics provided service such as wedding lists, credit facilities, installation of integrated appliances, spare parts and they even have a coffee shop!